One of the top questions people have about cruises is whether or not they are safe. Cruise ships are actually among the safest modes of transportation you could take. Compared to other methods of travel, cruises have to follow a large number of regulations to keep crew members and passengers safe. All ships have to operate under the international Safety of Life at Sea regulations which are responsible for maritime security, navigation, even fire safety. More importantly, any ship making port in the U.S. is subject to inspections by the Coast Guard, ensuring that they comply with all emergency response requirements. The international maritime rules actually require every cruise ship to have a safety drill before they leave the dock. This will usually take place 30 minutes before you set sail and you will have to go to what is called the muster station at the designated time, at which point you will listen to the safety features of the ship and go through the procedures that you will have to follow in case of emergencies. On bigger ships, it’s common to print the muster station location on the back of the key card or cruise ID card. As part of this instruction you will be told what signals you need to listen for in the event of an emergency, where you should go, and how to properly put on a lifejacket. On board, you will find that almost all cruise ships have at least one doctor and two nurses for any medical emergency. You also find trained security officers on board who can help you in the event of a crime, violent confrontation, or unruly behavior. 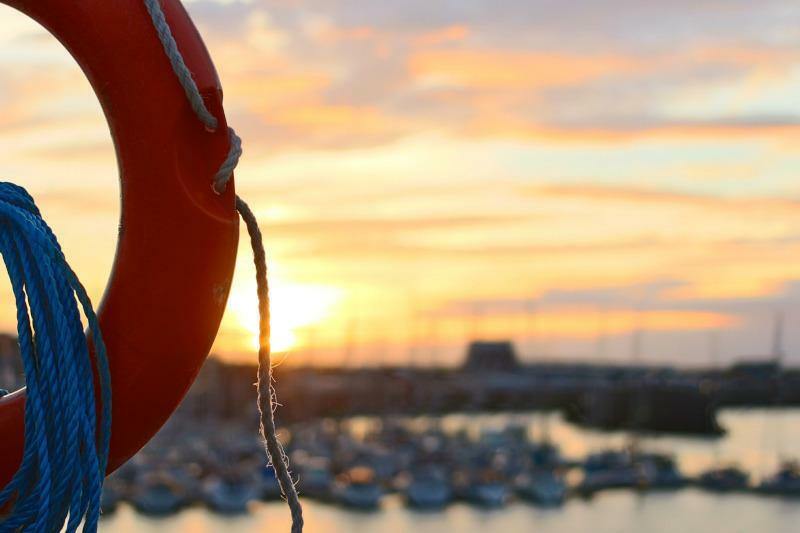 Every crew member receives continuous training for emergency procedures as well as first aid, all of which is required by the international maritime organization. If you’re worried about pool or water safety, Disney Cruise Line is the only one that will have lifeguards at the pools, and even then they are only stationed during specific hours. Norwegian Cruise Line requires a crew member to monitor the pools during specific hours but these are not lifeguards. As passengers, you are responsible for watching over your own children and any minors traveling with you. One important piece of information though is that while cruising is of course completely safe as a form of transport, mega ships (with 3,000 passengers or more) function the same as mini cities. Therefore, you should exercise situational awareness and adhere to the same travel precautions you would use during travel on land. Just because the ship is safe, does not mean that you can go running around anywhere, leaving important documents on tables. This also means that you should exercise the same precautions over your own well-being and safety that you would anywhere else. Always be aware of your surroundings, never going to a stranger's room, keep your cabin door locked when you turn in for the night, and of course don't accept drinks from strangers. Families traveling with small children do have a variety of options for things like kids clubs and other game rooms or activity centers specifically for children. Understand that these services are something you should use when adults need a break or have a specific event planned such as a late dinner together or catching an adult-only show. However, it is still imperative that you understand when your children are going to be here and where your children might be at all times. Many of these clubs will check the children in when you leave and will not let them wander out on their own until your return. If you have kids or teenagers you want to ensure you know where they are going and set up meeting points and times for their returns. Naturally, you can let them enjoy the different activities meant for their age group, but it is still your responsibility while on the cruise to look after their well-being and generally know where they are. Again, cruises have thousands of people you don’t know, so treat your children the same as you would in a new city. Keep smaller ones on you at all times and give your teens instructions on how to stay safe, such as avoiding secluded areas with people they do not know, not climbing on the rails, etc.